Launch Into A Life Of Significance! 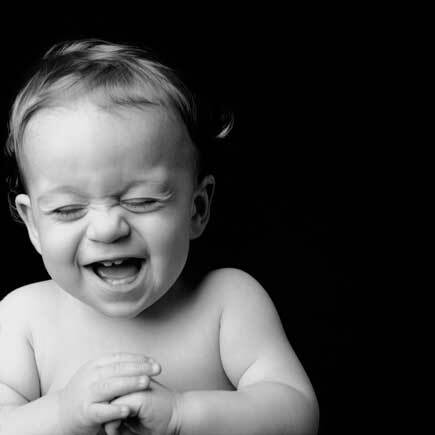 From birth we are infused with an innate ability to be happy, to laugh, to giggle and delight in the simplest of things. But as we grow older and get more complicated, we actually lose the ability to be happy. In order to be truly happy we must first first recapture an understanding of what true happiness is. In order to do this it is important to talk about what happiness is NOT: Happiness is not simply a collection of good times. It is not a passing feeling that life is good at this moment. We cannot limit happiness to something so transitory and temporary. In His landmark sermon Jesus starts with a series of profound statements commonly referred to as the Beatitudes (Matt. 5:3-11). Each one start off with the same statement, “Blessed is…” That word “blessed” has been translated by many scholars to mean, “How happy is the person who…” The kind of happiness that Jesus describes exists in the face of poverty, mourning, hunger, persecution, etc. It cannot be just a passing sense of well being. It has to be something much deeper, much more enduring, much more powerful. The happiness Jesus is talking about is a joy that never backs down, it doesn’t give ground, refuses to crumble under pressure and stress, and never surrenders to hardships and tragedies of life. It stubbornly sticks around through every season of life and is the familiar friend that stands smiling on the other side of eternity welcoming you with open arms into heaven. This kind of happiness is acquired through nurturing a consistent sense of God’s presence in your life! It is derived from an approach to life that makes us increasingly mindful of God’s great presence with us at each passing moment. Happiness is also a skill that, like learning to ride a bike, once you have acquired you never forget how to have it. It endures through all the ups and downs of life. It is a deep sense of flourishing that arises from a heart, soul and mind that deeply rooted in an daily experience of the Truth Himself. Happiness is not a state of circumstances; it is a state of being! If you choose to not BE happy, then you will not be happy with any circumstances! With less of you, there is more room for God When you lose control, you’ll find that God has always been in control. When you’ve lost your grip, you’ll find that God has a firm grip on you. Happy is the person who experiences the security of trusting God’s sovereignty! We only know love because He first loved us. The only reason we can have affection for things or people because He set His eternal affection on us. When we mourn over lost possessions, lost opportunities, lost jobs, lost friendships, lost pregnancies, lost siblings, lost parents – all these losses point us back to the fact that we are the ones that were loved first and loved the most. It reminds me that even though I have lost what I love, I have not lost Love itself. Because we have been loved with a love that bears all things, believes all things, hopes all things, endures all things, a love that never fails. And nothing can separate us from His love! Happy is the person who lives with the deep reassurance of God’s unconditional love! When you are content with who you are and what you have, you will find yourself the happy owner of every precious thing that can’t be bought and that no one can take away! Happy is the person who accepts what God gives and doesn’t fight over what He won’t! Happy is the person who longs for what God is eager to give! Mercy is an inclination to treat others better than they deserve. It is to not hold their faults against them. It is to view them with eyes of compassion instead of evaluation. When I extend mercy it reminds me that I have first received mercy. It opens me up to a fresh appreciation of the mercy that I have received. It reminds me that God does not treat me as my sins deserve. Forgiveness flushes the bitterness out of your heart and helps you appreciate the grace of God applied to you and everyone around you. Happy is the person who drinks so deeply of mercy is leaks out of them! Your heart is the lens through which you see the world. If your heart is messed up, so will be your view of the world and everyone in it. But, if your heart is right – you will see God at work everywhere in the world – in all your circumstances, relationships, activities. You’ll see Him everywhere and in everything. Happy is the person who loves the life God gives! Peacemakers are more motivated to get along with others that in getting what they want from others. They understand that if you have to give up the peace in order to get your way, you’ve already lost the most valuable thing – you’ve traded treasure for trash. Happy is the person who enjoys and expands the family business! Don’t let your life be a boring, bland, uninspired collection of mediocre moments. You’re blessed when your commitment to God provokes persecution because that persecution drives you even deeper into God’s kingdom. Happy is the person whose devotion pushes them deeper into God’s Kingdom! When a person’s life is lived close to the truth it tends to bring the truth to close for comfort and people get uncomfortable with them. Their natural response will be to try and discredit that person so that they can justify their own lifestyle. But anyone who lives in the truth is no more broken by criticism than he is inflated by praise. The greatest people of God have lived this way. They have always drawn great criticism. When you are being slandered for Jesus’ sake you are in good company. Happy is the person who knows the signs of being in good company! ← Are You Missing Out On The Most Profound Experience of Life? Loooove this sooo much. Thank you for explaining happiness this way. 7 Simple Keys To Becoming Truly Successful!